Owing to the vast experience of the industry, we are engaged in manufacturing, supplying and exporting Industrial Bead Inductors. 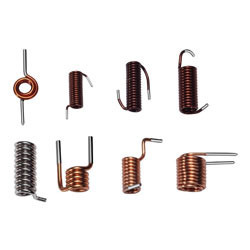 The range of bead inductors offered by us consists of High Frequency Inductors, Air Core Inductors and High Frequency Inductors. These inductors are manufactured in accordance with the norms of the industry by using latest machines and optimum quality material. 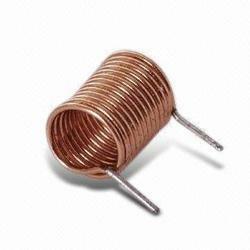 We also offer these inductors in customized range as per the requirements of the clients. Following are the details of the entire product range offered by us. With our expertise in this domain, we are engaged in manufacturing, supplying and exporting Ferrite Core Rods. These ferrite core rods are manufactured by using modern machines, high grade material and coated with varnish or PVC/UL tube. In addition to this, our professionals follow the norms already laid by the industry. All these core rods are extensively used in industrial products, power supplies, power amplifiers, filters, automotive, computer parts & accessories, telecommunication equipment and transformers. Offered core rod s are tested on variegated parameters of quality by our experts and then forwarded for the final delivery to the clients. Innovation is our forte and we strive to manufacture, supply and export quality range of Air Core Inductors. 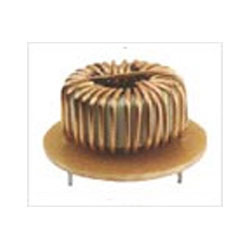 These core inductors are manufactured in accordance with the norms of the industry by using modern machines and high-grade material procured from the authentic vendors of the market. Our experienced professionals stringently examine these inductors on variegated parameters of quality, before the final dispatch. With thorough industry knowledge, we are engaged in manufacturing, supplying and exporting a quality range of High Frequency Inductors. Manufactured in tandem with the norms of the industry, these inductors are highly appreciated and demanded by the customers across the region. These inductors are manufactured by using quality-approved material with employing latest machines & technology. Following are some of the features of these high frequency inductors offered by us. Leveraging on the vast industry experience, we are engaged in manufacturing, supplying and exporting Air Core Inductors. These inductors are manufactured under the strict supervision of experts, who follow the established norms and standards of the industry while manufacturing. Also, our professionals supervise every stage of production, so as to develop superior quality inductors. 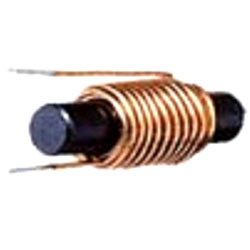 We also offer these core inductors in customized range as per the requirements of the customers. Looking for Industrial Bead Inductors ?